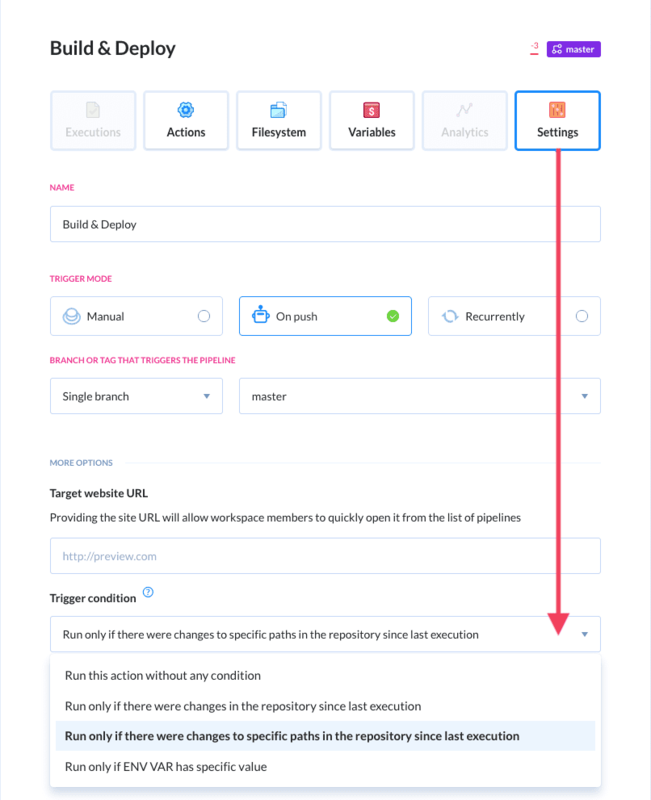 The set of trigger conditions originally designed for individual actions is now available for entire pipelines. We have added this feature in response to users whose every pipeline action was triggered on the same condition (e.g. change to a repository path). This way you no longer has to set it one by one in every action: just go to the pipelines settings and select the proper option. Buddy is 100% customer driven. If there’s a trigger condition, feature or integration you miss, let us know in the comments below or directly at support@buddy.works.